The Bangkok Gems & Jewelry Fair (BGJF) is Asia’s leading trade show for the jewelry industry, providing an outstanding platform for Thai and international jewelry designers and manufacturers to display their latest creations. Organized and managed by the Department of International Trade Promotion (DITP). BGJF ordered plenty of new inducements, such as tax free sales of jewelry during the fair, a new contemporary layout that gives each exhibitor a more prominent profile, and electronic guidance systems for buyers to link easily with specific exhibitors. In addition, the show highlighted jewelry aimed at specific target groups – brides, men, seniors, pet lovers, etc – and special occasions. For the 62nd edition, DITP plans to enhance the experience and convenience to exhibitors and visitors even further. Thus, more participants are expected to attend the fair in February 2018. Please fill out this application form to enjoy the many benefits of participating in the 62nd Bangkok Gems & Jewelry Fair. 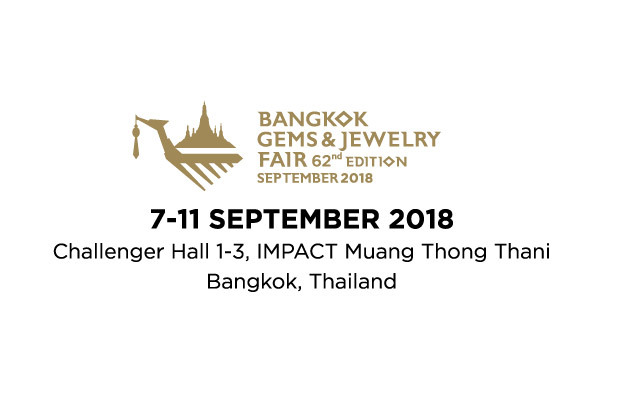 Activity Details : The Bangkok Gems & Jewelry Fair (BGJF) is Asia’s leading trade show for the jewelry industry, providing an outstanding platform for Thai and international jewelry designers and manufacturers to display their latest creations. Organized and managed by the Department of International Trade Promotion (DITP).